Unique ScanSnap SV600 – a new angle on scanning performance. 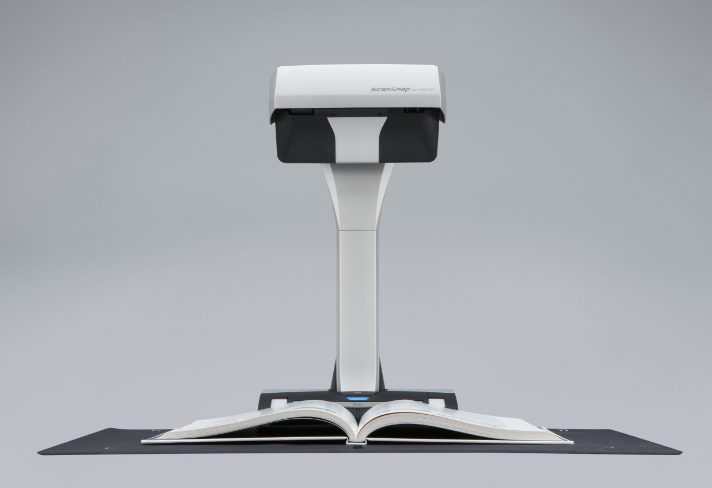 The world’s most versatile scanner. Multi-cropping capability allows you to scan and crop numerous documents in one scan and save them in the same file. ‘Page turning detection’ and ‘timed scanning’ features allow users to scan continuously without stopping to make allowances for different document formats. Background colour removal for items such as newspapers can be set up to automatically remove any background colour so as to enhance the viewing of the scanned document when on screen. 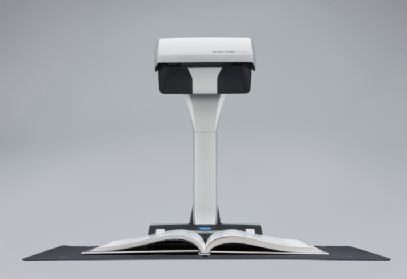 VI technology integrates the performance of flatbed scanners, camera-type overhead scanners and smart devices into a single compact scanner to achieve unique operability and high image quality. The moving overhead unit keeps everything in sharp focus using a deep depth-of-field lens which provides a maximised auto focus area and CCD linear image sensor. The highly directed LED lamp achieves a consistent brightness without interference from surrounding surfaces. In short the SV600 comfortably minimises unevenness in image quality and generates a smooth image even when scanning from a distance. Organising and using digitised documents has never been more efficient, more flexible and more helpful. Once the ‘Quick Menu’ is set up it can automatically display a wide range of ‘scan to’ destinations whether computer-based or Cloud based applications. Document management could hardly be simpler for the small business. Be well organised and easily accessible.